One of the most primary things in day to day life is the need of water, so it crucial that you get the right quality when it comes to that most important thing. Fleck water softeners have gained the trust and appreciation over the years owing to their impressive functionality and great results it has produced. 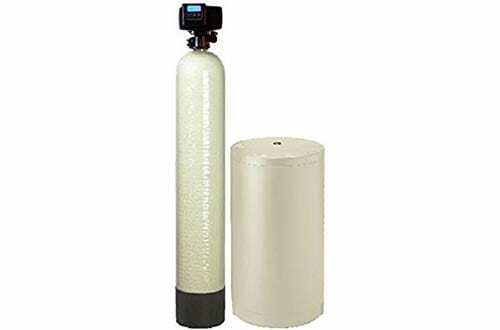 The fleck water softeners are meant to solve your problems regarding water hardness and impurities so in this article we have narrowed down some of the most trustworthy models available in the market that can solve these problems of yours. 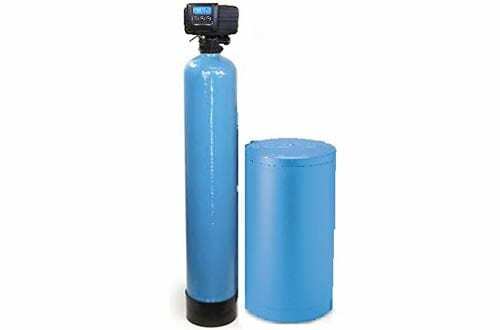 A complete water solution for your entire house, this water softener from ABC waters comes equipped with all the necessary requirements to provide right water for everyone. The technology used is ideal for even a family having five people as it uses 48,000-grain type with a flow rate of 12 gpm. Also, you get the improved reverse osmosis technique that uses 1 gallon of hard water to produce 1 gallon of purified water. 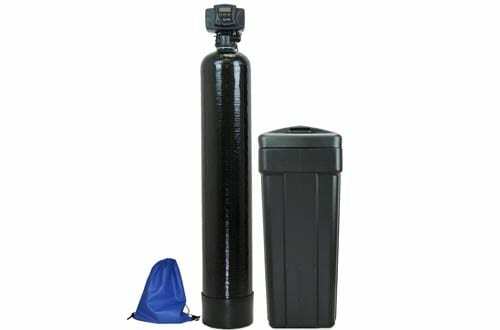 The Green super efficient 1 to 1 ratio membrane technology redefines the idea of reverse osmosis. Clean and healthy water for a family of five. Super efficient reverse osmosis system to get rid of the contaminants in water. 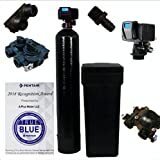 With a resin tank, upflow carbon tank, digital meters, bypass valve and adapter, this water fleck ensures that you get the best quality water. The most convenient and space saving model from the house of ABC waters, this is a water softener that ensures purified water for the entire family without taking up huge spaces in your house. It features a 10% crosslink resin media that readily gives it long-lastingness and the 48,000-grain capacity makes it an ideal water solution system for bigger homes. To make things even easier, ABC waters delivers the fleck softener with all the important equipment necessary for proper installation of the system. The mineral tank and the brine tank that comes along assure quality and long-term durability for optimal results. 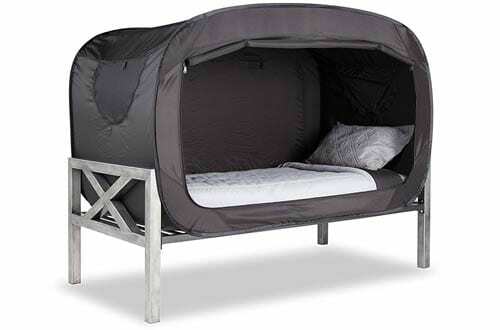 Durable and convenient model for small spaces. Includes every necessary equipment required for providing quality water. Mineral tank and brine tank ensure optimal performance and longevity. The Pent Air Fleck 5600sxt is none of the most advanced models from ABC waters that provide total hard water solutions for an entire home. To start, you get a control head that has a digital meter with touchpad controls and LCD display for enhanced functionality. Moreover, the upgraded 10% crosslink resin improves the durability and also features 1.5 cubic feet with a grain capacity of 48,000. 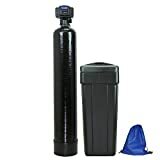 The Pent Air fleck makes a complete package of water softener where you get a brine tank, 1-inch plumbing adapter, mineral tank and valve bypass. 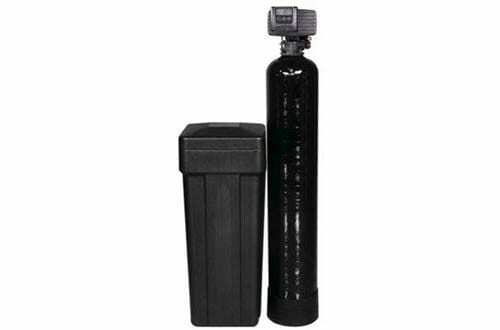 Make your life easier with this excellent fleck water softener. LCD display and touch-pad control for more convenience. Assures you completely about the quality of water. 5 years warranty on control head and 10 years warranty on tank. 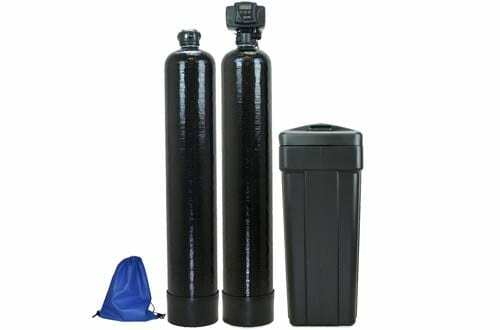 This water softener is one of the most popular designed models owing to its smart use of technology along with upgraded workability and premium use of materials in construction. It is extremely easy to set-up and use, as you get a digital control head with informative display and digital controls. 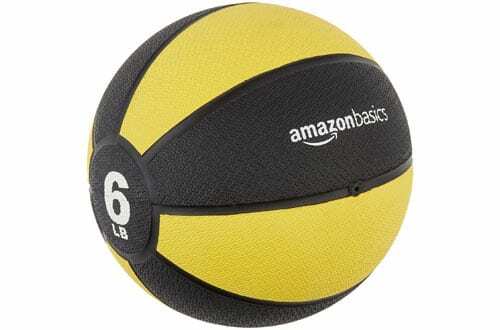 Besides, it is manufactured in the USA and features a polyglass tank that is designed to deliver super efficient results and also meant to run for a longer time. The presence of 1-inch threaded yoke, bypass valve, 15” X 34” brine tank and a large mineral tank that assure of getting a total solution related to water softening. Also, you get the brine tank with safety float system for better results. 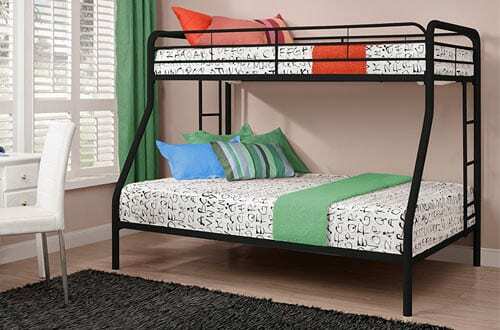 A smart design and advanced technology. A polygas tank that enhances its longevity and delivers optimal results. The WS48 model from Dura Water packs impressive features like commercial grade 10 % crosslink resin that enhances the durability of the resin. It also has a 48k grain capacity along with LCD display and touchpad controls that make it more user-friendly and reliable. Apart from that, you get a complete brine tank with brine well and float assembly. The use of the flow meter system keeps a measure of the water used and regenerates when needed. Eliminate the risks of leaks as it features paddle wheel style meter, unlike the regular turbine wheel types. LCD screen and touchpad controls. Bring home reliability and efficiency at par excellence with the iron filter fleck water softener from Fleck Structural manufacturers. 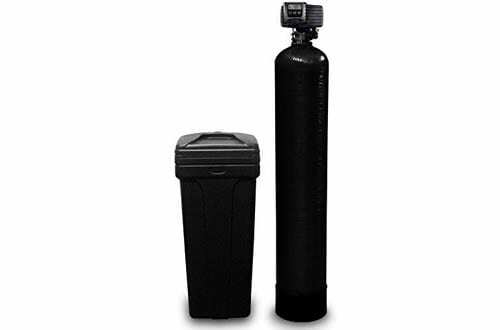 Designed along with a fine mesh resin, this water softener rewards you with highly efficient water removal. The digital metered valve adds to the ease of usage and convenience. It works outstandingly well to remove hardness till 75gpg, along with Iron and Manganese up to 6-8 ppm range and also added sediments, sand, rust, etc. The 18 X 33 round type brine tank comes along with a fitted valve which makes working on it easier. A reliable and efficient iron filter fleck. 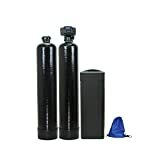 One of the most amazing models of water softener that also provides upflow carbon filtration system, the fleck 5600 SXT water softener delivers a complete package of water purification for an entire house. The upgraded and technologically advanced digital valve meter uses a 48,000 grain capacity along with a 10% crosslink resin for added durability and long life. Also, you get a service flow of 12 GPM that makes it ideal for even house comprising of 5 members. Furthermore, it features an eco-friendly up-flow mechanism which delivers great filtration without any backwash. This eliminates the wastage of water making it more efficient for the environment as well. An upflow carbon filtration system for efficient purification of water. Removes all kinds of contaminants like chlorine, pesticides, herbicides, MTBE, THM etc. 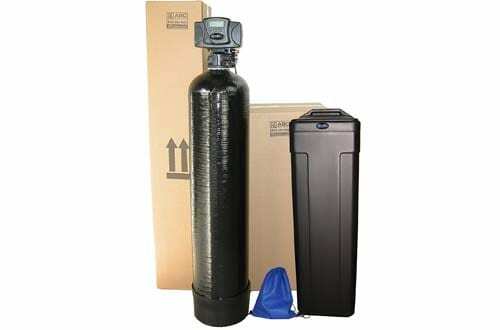 A complete water purification system for your entire house, the Built Fleck model is smart. Designed with upgraded 10% crosslink resin which adds a longer number of years to the resin, it is controlled by a popular digital valve meter. Along with this, you get a service flow of 12 GPM and a complete installation kit for easy installation and set-up. The two tanks, one 10” mineral tank and another 36” brine tank are American made, assuring you of top-notch reliability. Purifying water for a family of up to five people. Has 48,000 grain capacity for efficient results. 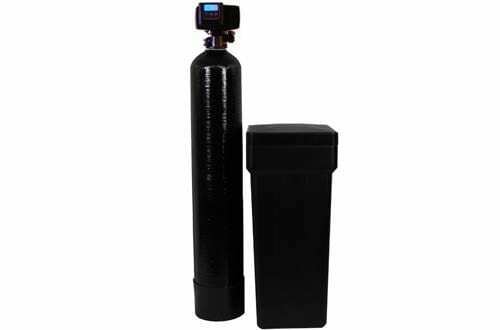 This is a stand out model of water softener that features a large 64,000-grain capacity ideal to serve an entire home with ease. The 2 cubic feet resin combined with a larger round brine tank of dimensions 18” X 33” and bypass valve enhances the workability on this model impressively. Moreover, you get the advantage of a metered digital fleck along with valves for more superior results. Last but not the least; it can amazingly treat flowrates of 16 GPM without any challenges. Most functional water purifier to treat hard water and eradicate scale build-up. 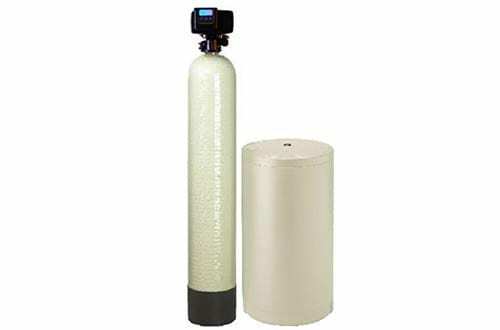 A perfect combination of household water softener and Iron filter in a single system, the Fleck 5600SXT is hands down one of the best models. 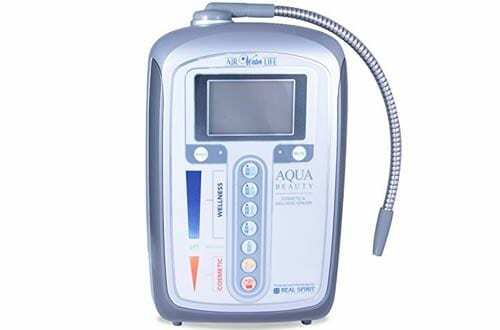 The system uses Mediaguard KDF 85 which works astonishingly well to remove different types of impurities like sulfide, iron and hydrogen from water. Furthermore, on the basis of stats, a hardness of water up to 50 gpg, and iron up to 4 ppm/mg gets completely removed to reward you with waters that you can use in your house without any worries whatsoever. Assistance with installation and programming. This water fleck is perfect for providing pure drinking water for your family. When you are concerned about drinking water, it is extremely crucial that you choose water solution system that is meant to reward you with the most trustworthy results.